Obituary for Mrs. Linda Burnette Marshall Spradley | C. C. Carter Funeral Home, Inc.
Mrs. Linda Burnette Marshall Spradley wife of Mr. Raymond Spradley Sr., transitioned peacefully at her home in Hampton, VA on Thursday, April 4, 2019. Linda, better known as "Penny", was born to the late Laura Cosby Marshall and James Marshall Sr..
She leaves to cherish her memories, her husband of 51 years, Raymond M. Spradley Sr.; three children, Raymond Spradley Jr. (Leatha), Kevin Spradley (Ursula), and Tiffany Spradley; seven siblings, her mother-in-law Blanche Spradley, one brother-in-law Odelle Spradley (Rita), sister-in-law Pam Stowes (Jerome); four grandchildren, one great- granddaughter, two uncles, and one aunt. Penny attended Aberdeen Elementary Y.H., Thomas Jr. High and graduated from Phenix High School. 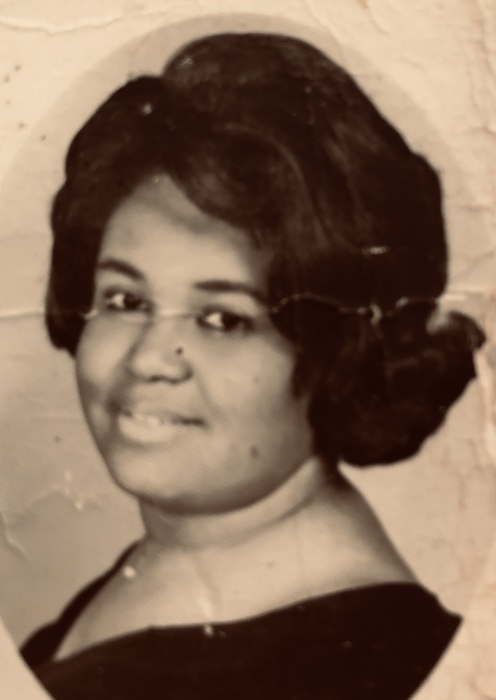 Services for Mrs. Linda Burnette Marshall Spradley will be held 11:00 a.m. Saturday, April 13, 2019 at New Hope Baptist Church, 1415 Big Bethel Road Hampton, VA, 23666 by Dr. Christopher C. Carter Sr.
A viewing for Mrs. Linda Burnette Marshall Spradley will be held from noon until 5:00 p.m. Friday, April 12, 2019 at C.C. Carter Funeral Home, Inc. 3314 Roanoke Ave, Newport News, VA 23607. It is the desire of the Spradley family that you keep them in your thoughts and prayers. The family of the late Mrs. Linda Burnette Marshall Spradley has entrusted her final care to the staff at C.C. Carter Funeral Home, Inc.